The essence of mountain biking, distilled into its purest form ­– that's the beauty of the hardtail. Whether you're a new rider dipping a toe into off-road exploration, a seasoned racer on the hunt for a lightweight speed machine or a weekend trail explorer looking to expand your horizons, we've a CUBE hardtail to suit you. Low weight, lively performance and minimal maintenance are all part of the package. If you've been looking for the best in lightweight, race-bred hardtails, your search is over. With its light, agile and responsive C:62 carbon frameset and uncompromising component selection, the Reaction C:62 SLT is the bike to head up your wish-list. We know that women are different from men; that much is obvious. That’s why we developed our range of Woman Like Series bikes specifically for women. But it's not only the color of the bikes that is adapted to women - mostly, the geometry is specifically developed for the female anatomy. With the Women's Series, women can get exactly what they want! Built to dissolve tricky sections of singletrack quickly and effortlessly, the Acid is a bike that's more than capable of living up to its name. With a completely revised frame for 2019, our design team pulled out all the stops to help you come out on top of any trail challenge. We have the right bike for kids of all ages. 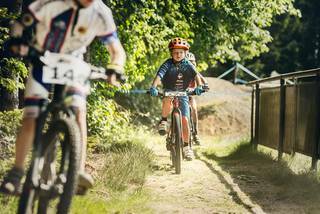 Future bike professionals trust CUBE right from the beginning.